Google Tools are designed to help webmasters analyze their sites, get information, and a way for Google to communicate with webmasters. Have you signed up? If you have a website then you should sign up. 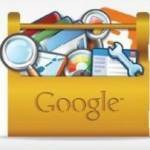 Google tools are free to use and could give you lots more useful information on how your site is doing on Google. Using the information provided from some of Google tools could provide you with that extra knowledge of how your site is preforming on Google and assist you to make the correct changes that could get your site to page one. Google Webmaster Tools is a no-charge web service by Google for webmasters. Its probably the only way that Google can communicate with webmasters and its one of the best Google tools, sign up today! Google webmaster tools allows webmasters to check the indexing status and optimize visibility of their websites. It has tools that let the webmasters submit and check a sitemap. Check and set the crawl rate, view statistics about how Google bots accesses a particular site, if your site has been infected with malware, problem links, and lots more. If you are creating a website or have a site sign up today its free. Keyword Search this can make or break your website, don’t just pull keywords out of fresh air, lets say your website is about garden services, to find out how many monthly searches are done on garden services type “garden services” into the search, the search tool will then give you a lists of keywords and the amount of Global Monthly Searches and Local Monthly Searches, you can choose the best keywords and know how many searches are done on those keywords. Web Analytics. How many visitors does your site get? what country are they from? With web analytics you can find all these answers and more. Its great to monitor your website traffic and its free. See keywords that visitors have used to find your site how many daily, weekly or monthly visitors your site gets and lots more. Sign up is free start using Google tools today. Google Adwords. Make money with Google tools. Display adds that are related to your sites content and make money when visitors click on one of the adds. You can have image and text adds and use a variety of different sizes placing adds horizontal or vertical on pages. Remember if you don’t have what the visitor is looking for there might be a related add they might click on making you some extra money. Page Speed is very important and plays a vital roll on the ranking position of a page. Click on the link above and see how fast your page loads with Googles page speed. The test will also give you suggestions on how to make your page faster, this is another one of Google tools. There are some good Goggle tools that if used and checked on a regular bases can help you make the right decision.